Will the Swiss Stabilize the Euro? The euro keeps diving to new lows and currency traders are hoping someone, (perhaps the Swiss) will step in to stop the bleeding. 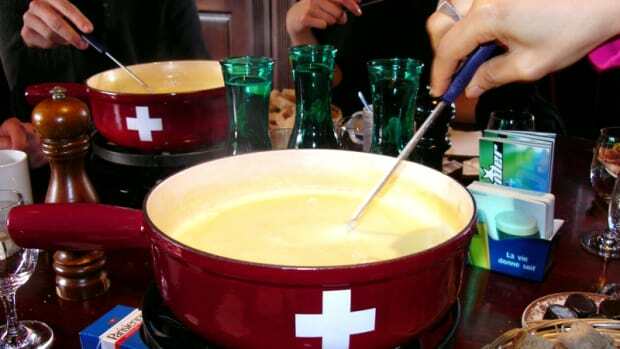 Rumors that the Swiss will move to stabilize the currency have stemmed the tide for now. The euro dropped to $1.2176 against the dollar yesterday, a new low, but has bounced back to around $1.2342 in today’s trading. Nicolas Haymoz, a spokesman for the Swiss central bank, declined to comment on currency market developments. The bank has said in the past that it would act to prevent any excessive appreciation of the Swiss franc. Mark Brickell has worked for over a decade to keep government regulators out of the over-the-counter derivatives market. He hasn't given up yet. The former JPMorgan executive and who served as chairman of the International Swaps and Derivatives Assoc., is out today with a piece in the WSJ warning against the dangers of increasing government oversight of OTC derivatives. Swaps are benign and help big companies like McDonald's hedge its currency risk at a low cost, he argues. When Will the Pain Stop. . .
And that includes its currency!